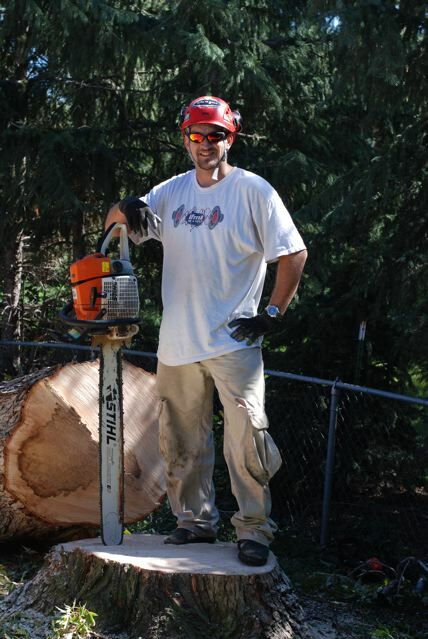 Josh started Bearclaw Arborist in 2006 in honor of his fathers custom cabnitry business Bearclaw Builders. 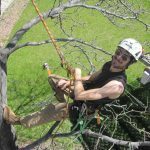 Josh spent several years learning from some of the best arborists in the world, who specialized in the areas of climbing, felling, rigging, and tree diagnosis. 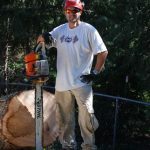 Josh continues to stay current with the latest equipment and techniques available to be the best, and give the greatest care to your trees. Evan is like a formula 1 race car driver. He is fast, agile, ellegant, and experienced. 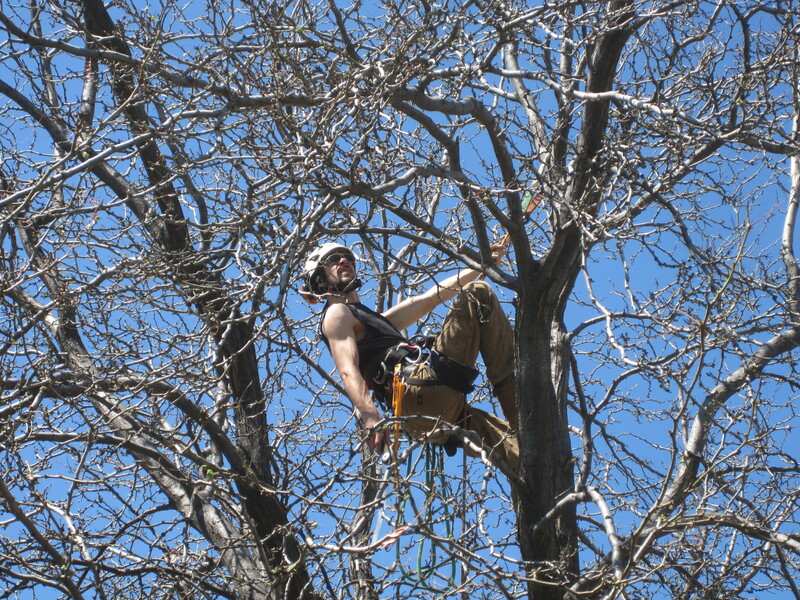 He has been climbing for Bearclaw Arborist since 2009, and his love of trees is why Evan is our #1climber. 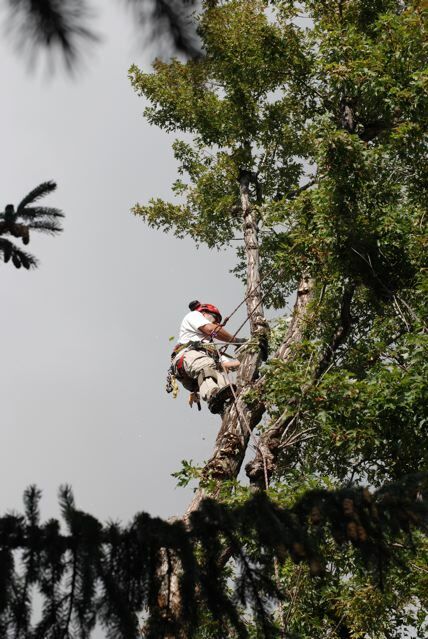 Cheevers has been with Bearclaw Arborist since 2010, and has excelled managing operations on the ground. He is responsible for watching for the climbers safety and managing the climbers lifeline, as well as running the numerous rigging ropes that the climber sets. Pruning dead, diseased, or storm damaged limbs and shaping of your tree for structural, health, and aesthetic purposes. We prune using the latest techniques, primarily the teachings of Dr. Alex Shigo, a world renowned Tree Specialist. 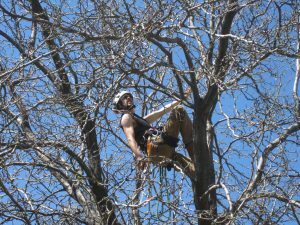 His research revolutionized the way climbing and pruning are performed for the health of the tree. 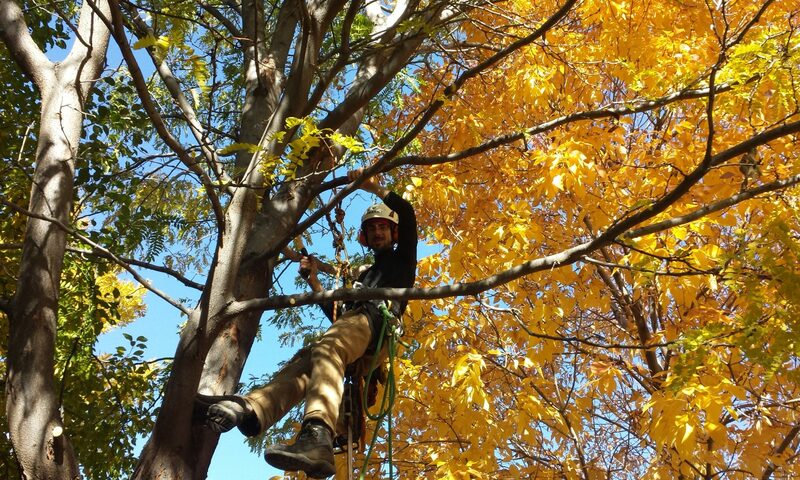 We climb all our trees, preferring the agility and mobility that ropes provide to be closer to the tree, and to get to areas that are inaccessible by a lift truck. We spend longer on the brances that we are working on, allowing us to see trouble areas that might otherwise go unnoticed. Removals, including extremely large, and difficult trees, either around power, or over houses or streets. 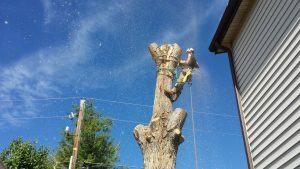 If you need a tree removed, Bearclaw Arborist can do it. 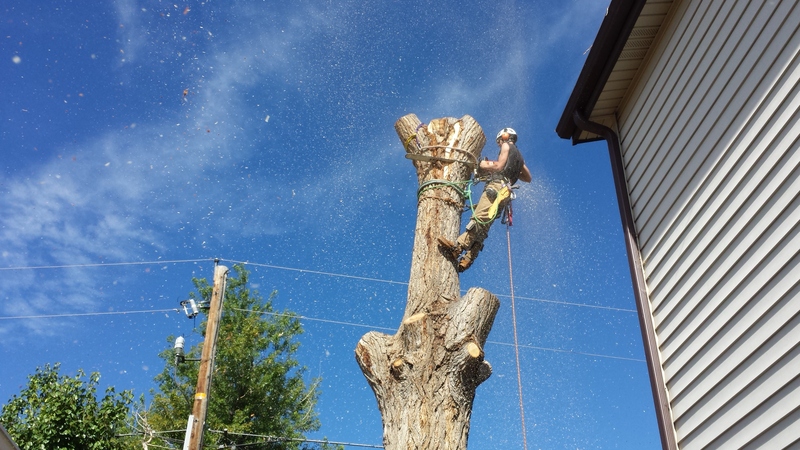 From small to large, over houses, fences, even power lines, we can skillfully remove your tree. 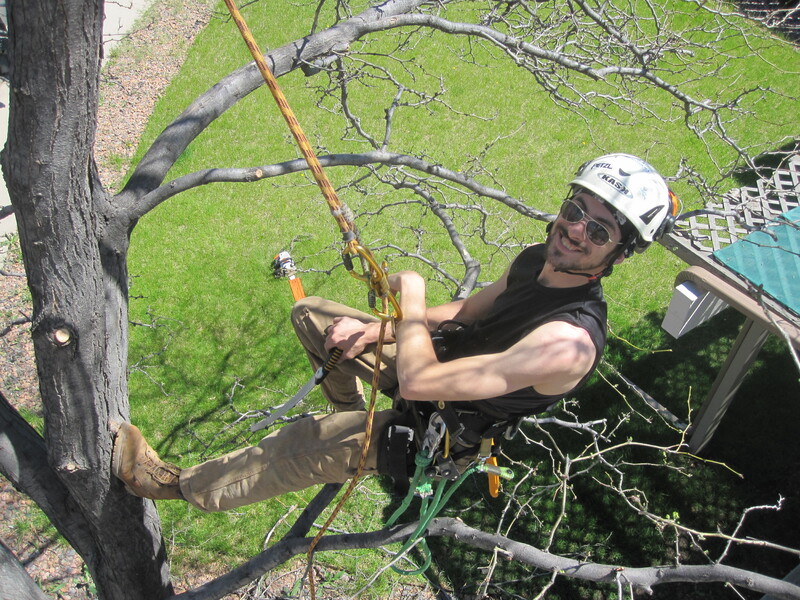 We are fully skilled in all aspects of rigging and lowering limbs softly to the ground. No need to worry about sprinklers or cracked driveways. Consultation, of tree health, possible dangers to property owners or the public. Design of landscaping and tree selection, including transplanting. Diagnosis of tree pathogens, insects and treatment. If you have a question, we can help. Do you need to know how to treat for a bugthat is making your tree look sick, we can help. Need to know if that last storm compromised a major limb, we can help. Are you thinking of re-landscaping but aren’t sure what trees are best for your climate, area, pollution or drought tolerance, we can help. Call or email anytime, 7 days a week.